We sent 12 smile presents this month taking our new overall total to 644 smiles. Items included book vouchers, bookmarks, blankets, candles, face masks, bath bombs, colouring books, art supplies, board games, bunting and chocolates. Presents change all the time as we personalise them for each recipient using the information we receive from the nomination form. They are then all lovingly wrapped and sent to make you smile. Something that made us smile this month was seeing reactions from people receiving their smile presents. 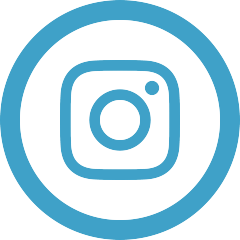 We always love hearing from you and seeing your pictures so thank you for making us smile. You can see more pictures of smile recipients on our smile page. As you can see we are still including little uplifting notes in some smile parcels thanks to Grayson and Students for Smiles who kindly created them during a fundraising evening for us. 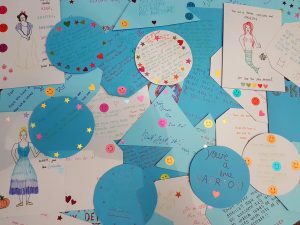 Thank you again to everyone involved for creating little words of encouragement for us to include in the smile parcels. 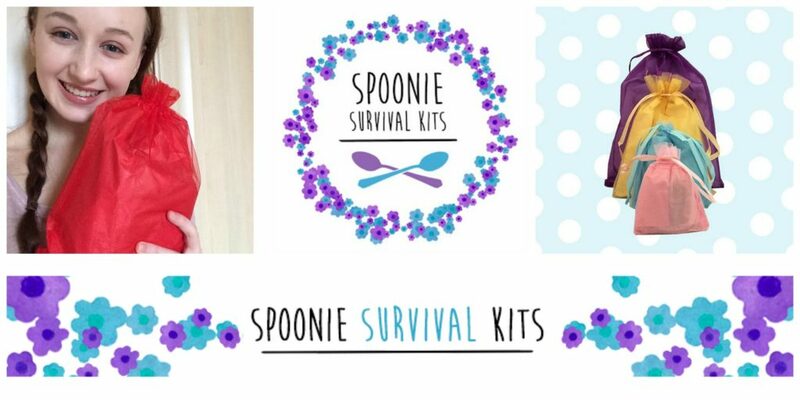 This month’s shop of the month is Spoonie Survival Kits. Run by chronic illness sufferers, they sell little bags of happiness through their website and Etsy page. Here is more about SSK from Pippa. Living with a chronic illness can be an incredibly lonely and isolating experience. Spoonie Survival Kits are little bags of happiness that contain a range of items that will hopefully help those with long-term conditions to smile, and remind them that they are not alone. 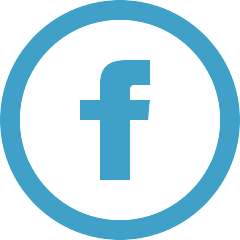 We create bespoke kits tailored to specific conditions and symptoms, and 50% of all sales money is donated to worthy causes: to date, we have raised over £4000 for a range of chronic illness charities. 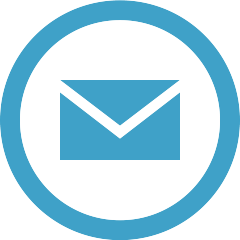 Spoonie Survival Kits also offers flexible roles for those affected by long-term conditions, that can be pursued remotely with no time constraints, stress or pressure. Our aim is to raise as much money, awareness of chronic illness and, of course, as many smiles as possible! 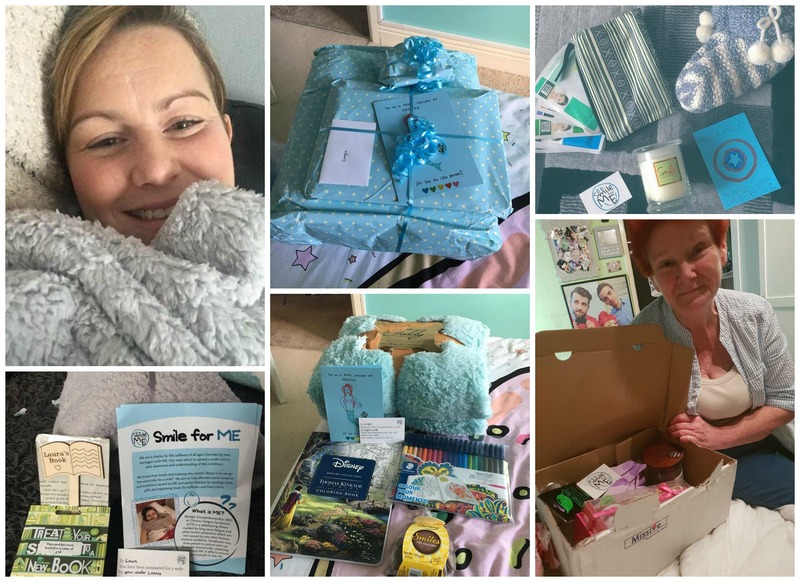 Spoonie Survival kits have kindly chosen Smile For ME to be the next charity they raise money for so supporting them means supporting us too. You can buy bespoke kits which include various items that all have a thoughtful meaning and explanation for making them special for chronic illness sufferers. Also available are sterling silver spoonie necklaces. All can be purchased through their Etsy shop found HERE and the first few orders will receive a free Smile For ME wristband as well. You can also support Spoonie Survival Kits by buying their book ‘Dear Chronic Illness’ on Amazon which features a collection of short letters collaboratively written by 16 young people, addressed to their conditions and compiled by Pippa founder of Spoonie Survival Kits. 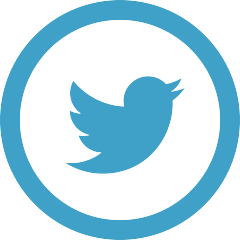 Thank you Spoonie Survival Kits for choosing to support us! We have already received a donation of £185 so a huge thank you to you all. Thank you Medburn Lodge 8841 for your generous donation. Really appreciate your kindness and support. Wishing you a Happy 40th Anniversary. Thank you to everyone involved in Lucie’s ‘In her name‘ year of fundraising including Christine and all at Alder Root Riding School for raising £138 at their annual awards presentation. Thank you to Steve, Pauline, Jacqui and Sally for your continued support. We can’t thank you enough for helping create lots of smiles.